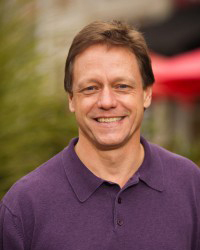 Kevin is co-founder of Local Fresh LLC, a business consultation firm located in Portland, OR focused on helping small to medium-sized enterprises grow sales, products and its overall market penetration. 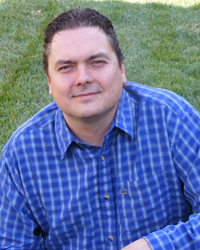 Kevin possesses more than twenty years of professional experience in company management and operations, with specialization in marketing and new product / business development. 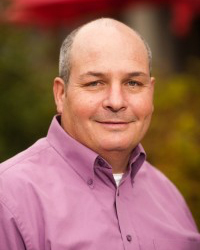 Throughout his career, Kevin has led creative and cross-functional teams in the successful execution of said activities, and has participated in Six Sigma and CI (continuous improvement) projects that generated annual savings. In other interests, Kevin donated his time to the Kuja Sni Research Group, a non-profit organization that promoted rain forest preservation. Acting as its Media Coordinator, Kevin formed a production company that produced audio and video projects in which to disseminate the group’s message on healthy interaction with diverse ecosystems. As co-founder of Local Fresh, Steve helps small and local businesses understand how to leverage Internet technologies, search and online advertising, Website design, social media and e-Commerce integration and more to build lasting business value. While in college in the 1980s Steve bought an Atari 800XL and then a Commodore 64 and, eventually, an IBM 386 PC, teaching himself programming languages such as BASIC, COBOL and FORTRAN. Then came the dotcom boom and soon Steve was recruiting and managing ever-larger teams of designers, developers, business analysts and other creative and technology professionals for employers including LookSmart, Kight-Ridder and others. After the dotcom bust, he was on the senior management team of Raine Media, a west coast marketing services firm helping Fortune 500 companies better leverage their marketing investments. Upon moving with his family from the Bay Area to Portland, Oregon in 2005, Steve soon decided to go back to his entrepreneurial roots and has co-founded several online marketing and ecommerce businesses, including Local Fresh. Charlotte Kammer has been with the Local Fresh team since March of 2012. Her background in advertising is a great fit for the marketing expertise Local Fresh clients need. She has enjoyed learning about the latest and greatest in technology since joining the team. Charlotte appreciates the Local Fresh dedication to customer service and their commitment to delivering value-added service to everything they do. Charlotte has lived in the Portland area for 25 years. She has three beautiful daughters. In her spare time, Charlotte enjoys singing, adding episodes to her YouTube channel, and spending time with friends and family. 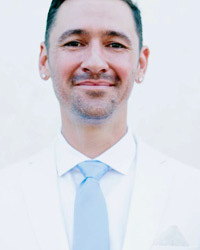 Eli Madrone believes in creating community through technology, and using strategy, social, humor, and design to do it. He is an avid writer but also helps clients with search engine optimization, digital strategy, social media and newsletter management, content creation, communication strategies, project management, and website development. Eli has worked in the food service, arts, theater, nonprofit, tourism, and technology startup industries and brings over 15 years of experience to the team at Local Fresh. Originally from Northern California, Eli is a graduate of Lewis and Clark College here in Portland, but has also lived in Maui, Hawaii, Bozeman, Montana, and Boulder, Colorado. He is thrilled to call Portland home, and when not working he can usually be found hiking, eating, cooking, and traveling around looking for the next great meal. 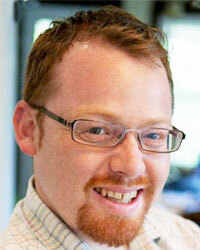 Rob Hall has over a 15 years of experience in design and advertising. Much of that time has been spent at small to mid sized creative agencies where he held the position of Senior Art Director. Along with Rob’s art direction and advertising experience, He also has been involved in web design and development for more than 10 years and has specialized in WordPress design and development for the last 6 years. Rob is a committed professional, a communicator, a thinker, an artist, a designer, and a team player, with a proven track record demonstrating strong problem solving skills, innovative design and the ability to follow through with projects from inception to effective completion. Simply put, Rob a designer at heart, as it is his passion. 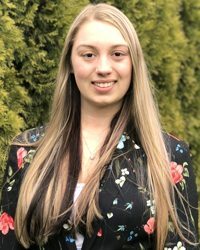 Katie is a Marketing and Social Media Specialist at Local Fresh who joined the team in early 2018. 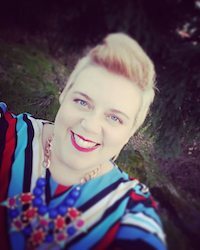 She graduated from Clackamas Community College with an Associate’s in Business and has experience with social media marketing. She is extremely excited to continue learning with the Local Fresh team. Katie has lived in Portland her entire life and loves everything the city has to offer. She is a die hard Trail Blazers fan and religiously watches UFC. Aside from sports, she loves exploring the state with her dog, reading, and traveling. Having worked in the labor force for several years for multiple industries trying to find his inner call, David learned that one key factor to most successful businesses was their marketing strategies. Staying up to date with the updates, upgrades and upscales of the internet, David has become an advocate internet research specialist. Working at Local Fresh, David has wandered into the world of the never-ending updates and tasks from which he enjoys resolving and completing. Highly spirited, David works from all the different libraries, coffees and restaurants looking for inspiration and motivation to keep on growing. 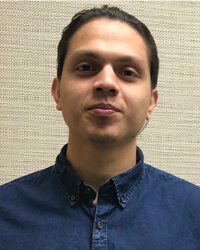 Aside from work, David is a soccer player on Thursdays, an outdoor enthusiast when the sun is out, and always a learner of many subjects to satisfy his curiosity. 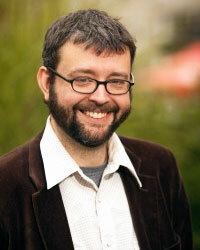 A freelance writer and Local Fresh Jack-of-all-trades, Timothy Lemke began working for the firm in the fall of 2011. Prior to moving to Portland, Timothy operated his own nonprofit production company in his home state of Missouri, producing improvisational, sketch, and standup comedy shows. While comedy will always hold a special place for Timothy, trying to make a living producing live theater turned out to be no laughing matter. Inspired by his degree in history, Timothy decided to heed the advice of early pioneers to “Go West, young man,” and elected to leave behind the Midwest for the sunnier pastures of Portland in the spring of 2010. Though a native of California, Lucas is now an Oregonian to the core, and a Portlander to boot. You can tell by his extensive collection of mostly-working bikes and fully-working craft beer. 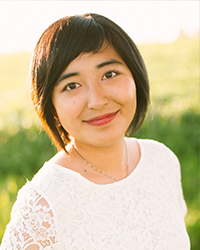 Ichigo Takikawa is a marketing and design specialist for Local Fresh and graduated Fall 2014 from the University of Minnesota with a BA in journalism and a minor in design. She joined Local Fresh in May 2014 as a marketing intern. While she’s been in Minnesota for almost four years now, she is a born-and-raised proud Oregonian. Ichigo is passionate about emerging new media technology and has experience in graphic and web design. She describes herself as a self-proclaimed cat-lover, designer, tech nerd, foodie, sci-fi reader, nature-lover, and photographer.